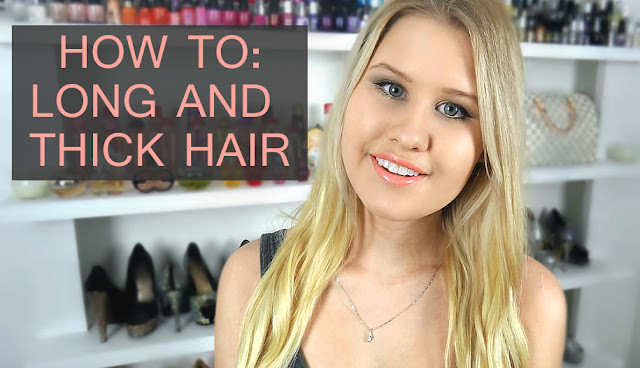 So recently I have been obsessed with playing around with my hair and I have found that the easiest way to get really long and thick hair is with extensions. These 22inch, 12 piece extensions add so much extra volume and length onto my hair and it's so fun playing around with and styling them. I feel like extensions open up so many more possibilities with hair styles and are able to achieve different looks that you otherwise wouldn't be able to. Click HERE to watch the video! These extensions are made from Remi hair, the highest quality possible which means they are really soft, shiny and manageable. They also work with heat really well as they blow dry, straighten and curl perfectly. There's such a large range of colours including all types of blacks, browns, blondes and reds. Something that I thought was great about these extensions is that there are multiple shades of whichever colour you go with meaning it's more likely to match your hair. Especially if you have low lights and highlights like me, it's awesome that it isn't just a solid colour so it blends much easier. So everyone's hair has a different texture whether that be straight, wavy or curly so you can choose what style you would like out of those three options which means that it will match your hair more. Think about it this way, if you have naturally curly hair and bought straight extensions then you would have to make sure you curl them every time you apply them. The extensions range between 16 inches and 26 inches so a huge variety of lengths that will suit whatever look you're going for whether it be a volumous natural length or really long locks. I prefer clip in because they are much more simple but you can also buy; clip in, wefts, micro loop/ring, fusion/ pre-bonded or tape-in. Clip in is only temporary which makes them much less hassle but keep in mind that tape-in, micro-loop and pre-bonded are all semi-permanent. The set I went with is the 22 inch, 12 pieces, model straight clip ins. My colour is #613 Lightest Blonde. I think these extensions are quite affordable, especially considering the quality as the set I received costs only $124.10 and you get a lot of hair for that price. Worldwide shipping is free for orders over $99 which is amazing because most extensions are around that price so it takes out that extra cost. You can buy these extensions from Best Hair Buy by clicking HERE. Overall I think that these are amazing extensions because they are great quality, affordable and look amazing so I would definitely recommend them. I kept sharing at all the shoes in the back... anyhow, your hair looks great! Great review, and they look soooo good on you:) Never tried extensions before, but I know some who love them. Perfect on you fashion girl! Great post Jordy. They look very natural, can't even tell you've got extensions in. Wow you have nice hair. Actually you are a lucky girl. Every girl worry about their hair.